Sri Bhagavan teaches us the spiritual instructions for self inquiry. Try and make some poppadums. Don't roam the world disconsolate. The Truth of Being Awareness Bliss. 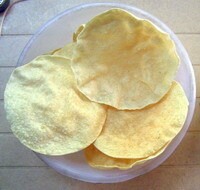 Try and make some poppadums ... and satisfy. The wisdom quest of Who am I? Try and make some poppudms... and satisfy. Of stillness on the level slab of Being. Try and make some poppudams ... and satisfy. The appalam pattu and Atma vidya Keerthanam are among the most endearing and accessible of Sri Bhagavan's compositions.Those who know Tamizh are at a big advantage here.Just listening to the recitation of these compositions alone has the power to unlock its import to the grateful listener. Yes. I agree with you. In original Tamizh, Sri Bhagavan's verses bring about more delight and insight. The problem of translation is a difficult one. Some times it kills the soul of the original. in most of the times. How to translate Naan Yaar? The translation Who am I? does not bring about the essence of the words of Tamizh. But many times we have no other go. I = naan; Yaar = who. Where does the 'am' come from? a key had been prepared to understand. The Translator's job is challenging in many ways.It is not enough if he just brings out the literal meaning of the words,but he needs to bring the contextual,cultural setting as well.Even a flip of a verbal expression to a noun form or viceversa -and the flavour of the Original is lost irretrievably. The unfolding of the Plot has to follow its natural sequence as it occurs in the Original. In this verse Sri Bhagavan makes use for his composition a homely setting-prompted as he was by his mother to help her in preparing this very homely and simple Dish that is eaten across the length and Breadth of the country.Those days every household used to prepare this at home-Right from procuring the Ingredients,Processing them individually and mixing them in the right proportion,Fashioning it,leaving it out in the hot sun for Drying and then eventually Preparing it for serving by Roasting it in oil.It takes days to prepare before one can 'fry' it and serve it. It is not as if the 'AppaLam' is 'made' and 'Eaten' like Maggi Noodle or anyother fast food!.It is a long Drawn Process that Requires interest,Patience,Diligence .Not just this-The womenfolk ,the Grandma who usually prepares this takes all this pain and labour in her stride,so that others,and especially the Grandchildren may enjoy the Eating!So,there is this selflessness as an important ingredient and the Flavour that this imparts is something that cannot be substituted by anything else in this world. This is the backdrop to this wonderful composition of Sri Bhagavan. I do not find Professor Swaminathan's translation adequate when He Translates it as 'Try and Make some appalams(Why Plural?! ).Eat them and your longing(? )satisfy'.It is neither a faithful translation in literal sense nor does it convey the Context and the way the composition develops.It sounds too simplistic -something like 'Toast some Bread and Eat it and satisfy yourself'! I wished to make a Distinction between 'Fashioning' an appalam and 'Frying' it to make it fit for eating. 'Fashioning' it is in our hands and this represents the self effort part of the Sadhana;However 'Frying it in Jnana agni' for eating is something that is the Handiwork of the Grace of the Guru who is Truth Consciousness and Bliss. That you may eat and your desire fulfill. The First two lines of appalam song are the only ones where Sri Bhagavan is using Active voice like 'Try your hand', 'Eat and fulfill',as if to nudge the seeker, but he soon reverts to passive voice-This is his hallmark-Ever impersonal ,only gently suggesting the way it has to be done when someone asks for it. Sri Bhagavan would never say -'Don't roam the world' 'Heed the word' ,etc.That is simply not the way of the silent one. This spirit has to be kept intact in translating Sri Bhagavan's works. The use of the word 'satisfy' by Professor Swaminathan,I find quite unsatisfactory. 'satisfaction' is temporal and does not last. 'Aasaiyai theeru' would translate itself as either 'Fulfillment of desire' or as 'Ending of Desire' -and philosophically they are equivalent in the deepest sense. In the loose sense ,in common parlance it may be Translated as 'Satisfy your desire',but in no case it can be translated as 'satisfy your Longing';Longing cannot be satisfied.There can only be fulfillment of longing. I will continue my attempt in translating the other four verses that form the charanam.Those who do know tamizh may review this and refine it wherever they find necessary and possible. I am happy that Ravi is trying to translate the poem in a better way. 1. Strive and roll out the tasty appalam of the experience of janana. Eat that appalam of experience thus fashioned. Enjoy and fulfill thus your insatiable longing for it. bliss of the experience of the Atman. Roll out the appalam, savor the experience and see. flour with no chance of the jivabhava reviving itself afresh, roll out the appalam and savor the experience and see. mind unceasingly, untiringly ever but cheerfully roll out the appalam and enjoy it. Thanks very much for presenting the version of smt.Kanakammal.I find that it is more of a commentary/synopsis than a translation of the original. Let us 'try translating' (ittu paarpom! )the appalam pattu.This in itself is a wonderful sadhana-trying to listen to Sri Bhagavan's pregnant words ,verbal and nonverbal. The picture above is a typical South Indian meals, served specially in a fresh plantain leaf. At Ramanasramam, food is served in plantain leaves even today. The menu is usually incomplete without appalams. Appalams are the favourites with everybody, from children to old granny. Appalams is generally a south Indian dish consumed by a large number of people. It is usually taken during meals, as no meal is complete without an appalam. It can also be called as the perfect side dish as it can be made very easily compared to other side dishes. Appalams cannot be directly consumed. It can only be consumed by following this simple procedure. It should be fried up with cooking oil, as it cannot be consumed raw and what you get is a tasty and crispy Appalam, so get ready to smack your lips. So make sure that you taste Appalams, as no meal is complete without Appalam. by Bhagavan Ramana, a master cook Himself! தான்ய வுளுந்து Urad Dal / Lentils! Skin is black, when skin is removed, inside is white. of Dosa, idli, vadai, appalams and many other items. Analogy - 'I am the body' idea, Attachment. Pirandai / Perandai in Tamil, with ribbed veins, is a medicinal plant grown in kitchen garden. A small piece of stem planted in a pot grows abundantly, and it does magic in one's health. It is also known as bonevine, adamant creeper, and veldt grape. Pirandai made in the form of thogayal or thuvaiyal can be had atleast once a week as it has many health benefits. Here Bhagavan asks us to use the Juice of Pirandai. Pirandai has enormous medicinal benefits. It is useful in curing digestive problems , breathing problems, cough, piles, nausea, flatulence (vaayu or gas in digestive track, stomach and bowels). It acts as an appetiser. These are used even today in some houses specially for Shraadham etc. ஜிரகம் Cumin Seeds are basically the dried fruits of a small herbal plant. Cumin is a type of spice well known for its medicinal uses. Also known as 'jeera' in india, they are good source of anti-oxidants, vitamins and minerals. 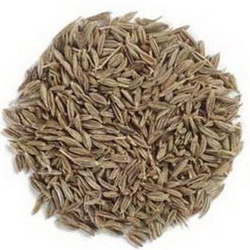 These cumin seeds are also used in various traditional medicinal applications to treat certain diseases. Cumin has since been used as a wash for eyestrain and irritations. Chinese and Hindus used it as a snake bite remedy. Cumin is stomachic, diuretic, carminative, stimulant, astringent, emmenagogic and antispasmodic. It is valuable in dyspepsia diarrhoea and hoarseness and may relieve flatulence and colic. Cumin Seeds has also been used in ancient medicine of Ayurveda as an ingredient for many digestive formularies. Cumin is supposed to increase lactation and reduce nausea in pregnancy and has been shown to be effective in treating carpal tunnel syndrome, as well as diarrhea, indigestion and morning sickness. Cumin seeds are used as a flavoring agent in many herbal medicines and to help disperse flatulence. The seeds, and roots, also help to open obstructions of the liver, spleen and gall bladder and to ease painful swellings, in addition to helping with yellow jaundice, the gout and occasional cramps. Cumin seeds are a very good source of iron and a good source of manganese. Other nutritional are Protein, Carbohydrate, Dietary fiber, Vitamin A, B, C, E and K, Calcium, Phosphorus and Potassium. Jeera water is a medicated drinking water made by boiling cumin seed (Cuminum cyminum) in water. The jeera water is popular in areas of southern India such as Kerala and Tamil Nadu. The popular Tamil saying Unave marunthu, marunthe unavu ("Food is medicine and medicine is food") attaches importance of food as medicine. Elders in Tamil Nadu households claim that jeera is used as an ingredient in many home remedies. In Kerala jeera water is a regular drink in many of the houses. Analogy - Self control, moderation, 'Sama' etc..
மிளகு Black pepper (Piper nigrum), the â€˜king of spicesâ€™, is one of the oldest and the most popular spice in the world. The hotly pungent spice made from its berries is one of the earliest spices known and is probably the most widely used spice in the world today. It was mentioned as far back as 1000 BC in ancient Sanskrit literature. The name pepper comes from the Sanskrit word pippali meaning berry Ancient Greek and Latin turned pippali into the Latin piper. Black pepper is native to south India, and is extensively cultivated there and elsewhere in tropical regions. Black Pepper is believed to cure illness such as constipation, diarrhea, earache, gangrene, heart disease, hernia, hoarseness, indigestion, insect bites, insomnia, joint pain, liver problems, lung disease, oral abscesses, sunburn, tooth decay, and toothaches. Analogy - Self restraint, Self control, continence, 'Dama' etc..
உப்பு Salt, also known as table salt or rock salt, is a crystalline mineral that is composed primarily of sodium chloride (NaCl), a chemical compound belonging to the larger class of ionic salts. It is essential for animal life, but can be harmful to animals and plants in excess. Salt is one of the oldest, most ubiquitous food seasonings and salting is an important method of food preservation. The taste of salt (saltiness) is one of the basic human tastes. Because of its importance to survival, salt has often been considered a valuable commodity during human history. However, as salt consumption has increased during modern times, scientists have become aware of the health risks associated with high salt intake, including high blood pressure in sensitive individuals. Therefore, some health authorities have recommended limitations of dietary sodium, although others state the risk is minimal for typical diets. In 1930, Mahatma Gandhi led at least 100,000 people on the "Dandi March" or "Salt Satyagraha", in which protesters made their own salt from the sea, which was illegal under British rule, as it avoided paying the "salt tax". This civil disobedience inspired millions of common people, and elevated the Indian independence movement from an elitist struggle to a national struggle. 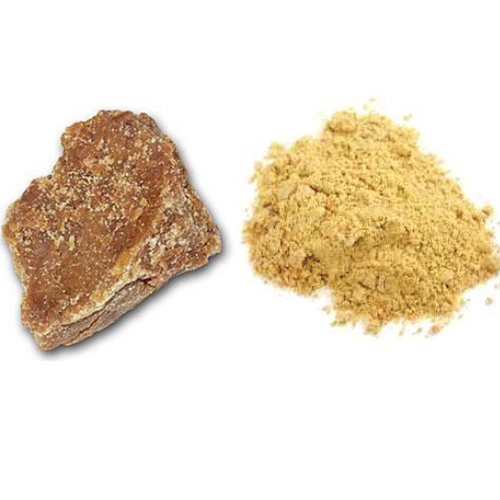 பெருங்காயம் asafoetida! This spice is used as a digestive aid, in food as a condiment, and in pickles. It typically works as a flavor enhancer and, used along with turmeric, is a standard component of Indian cuisine, particularly in lentil curries, such as dal, or various 'Pappu' like dosakaya, mamidikaya or tomato pappu. as well as in numerous vegetable dishes. It is especially widely used in South Indian cuisine, which is mainly vegetarian, and is often used to harmonize sweet, sour, salty and spicy components in food. It is used to hallmark the taste of Andhra Pradesh, Karnataka, Kerala and Tamil Nadu sambar, a saucy dish made with cereals and lentils. It is called as"Ingu"(ಇಂಗು) in Kannada,"Inguva"(ఇంగువ) in Telugu also â€�Perunkayamâ€�(பெருங்காயம்) in Tamil. Analogy - nurturing good vasana, yearning for Guru or God, yearning to serve your Guru, worship etc..
நெய் Ghee is a class of clarified butter that originated in South Asia and is commonly used in South Asian (Indian, Bangladeshi, Nepali, Sri Lankan, and Pakistani) cuisine and rituals. The word ghee comes from Sanskrit: घृत (ghruta'sprinkled') and has several names around the world. Traditionally ghee is always made from cow's (considered sacred) milk [Sanskrit: गोघृत go-ghruta]) and is a sacred requirement in Vedic yajÃ±a and homa ( fire sacrifices), through the medium of Agni (fire) to offer oblations to various deities. Fire sacrifices have been performed dating back over 5000 years. 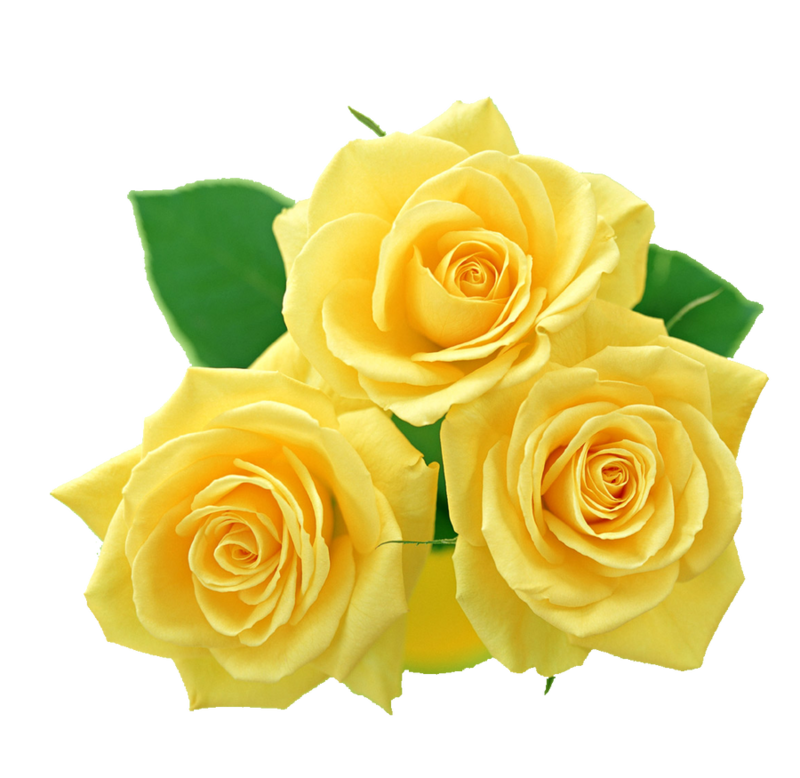 Their purpose is for religious including marriage, funeral and other ceremonies. Ghee is also necessary in Vedic worship of mūrtis (divine deities), with aarti (offering of ghee lamp) called diyā or dīpa (deep) and for PaÃ±cāmṛta (Panchamruta) where ghee along with Mishri (Mishri is different from Sugar), honey, milk, and dahī (curd) is utilised for bathing the deities on the appearance day of Lord Krishna on Janmashtami, Śiva (Shiva) on Mahā-śivarātrī (Maha Shivaratri). There is a hymn to ghee. 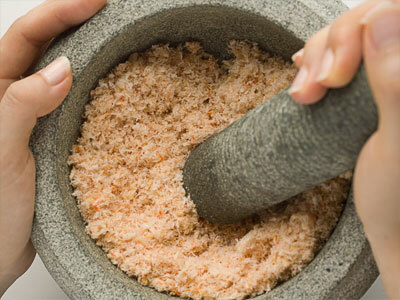 Pestle and Mortar This was a important kitchen instrument found in every household until the 90's when this made way for mixer grinders. I remember seeing it even in my own house in the early 90's but simply was just like Bhagavan "Summa Iruthal" The ingredients mentioned are finely kneaded into a finely consistent dove ideal for making it into flat shaped appalams. Kabir cries out, and makes the reader to contemplate on this Doha and realize for oneself the hidden meaning behind this metaphor. Dui Patan here signifies earth (Prithvi) and sky (Akash) and within the ambit of these is all creation and life as also the manifestation of all natural phenomenon of dualities: day and night, life and death, joys and sorrows, thereby making life forever in motion (Chalti Chakki) and an ever changing process. Trapped in this duality, whatever we see is perishable. Nothing that we comprehend is eternal. and the Roller is peace. Grind pirandai and salt nicely. Filter the water and add this to urud flour. Add asafoetida and pepper and cumin seeds. Make it to a hard dough. Add ghee and make it very soft. Using this flour, make appalams using a chappathi roller. Dry the appalams the next day in hot sun. Fry the solid appalams in oil and enjoy the atmic bliss. to buy ready made appalams. Dear Sir, ya... gone are those days, these were made with great fervor by our paatis, they had their "kai manam" filled with love. Sri Bhagavan's appalam song is a multifaceted gem.The Teaching imparted through an utterly homely cooking lesson is so universal and inspirational -that it sets at rest all the doubts and uncertainties that any seeker may possibly have,irrespective of one's position,calling and place of living in this world. Ushered into this world as we are and caught up in the struggle to survive-it is not as if this basic necessity for food,clothing and shelter alone suffices us.There is always this unceasing hankering for the more-in terms of pleasure,position and rank in society and the financial wherewithal to sustain.The entire job of living is an endless chasing of this willâ€“o'â€“theâ€“wisp that forever entices and promises without delivering.The Force that drives one ever onwards is Desire and it does not seem to abate inspite of achieving its coveted objectives. As Human beings,at some point in time the thought arises-are we designed to be condemned like the mythological Tantalus or is there a way of Living that is fulfilling,a Way of Peace,Joy,Love and Fulfillment?Is there such a thing at all?Where to find it?How to Go about restructuring our thoughts and actions that we may attune ourselves to this objective.This is the beginning of the spiritual quest-and this is where the 'Desire' element in us is transmuted into a 'Yearning'-a Longing for something unknown and yet so intimate that one must find it-dear as it is for one's existence and well-being. When this longing seizes us,we gather all that we have learnt from our parents,Grandparents,Tradition,Religion and Books,the world around us and try to gleam the light of wisdom that may carry us forward in our quest .We try to find our bearings and despite knowing everything about the quest,it seems to elude us.Is there any Definitive way?Is there anyone who knows this firsthand?If so who is He or She and where can we find him?What is his teaching?How can be one sure that it would suit one irrespective of the Country,language ,culture,Religion that one may be born in,and irrespective of Gender, Profession and stage of Life that one is in. The Best of Religious Tradition upholds the Role of the Guru,the Preceptor -as the one indispensable aid to an aspirant in that the Guru awakens the aspirant to spiritual living and provides the filip,a whiff of the Fragrance of the Divine,a direct experience of what one is longing for.Spiritual tradition recommends that one should approach such a Guru,serve him ,seek that precious word of teaching(Sravana)by listening,dwell on it(manana) and internalize it(Nidhidyasana). This is a wonderful tradition and Blessed is such an aspirant if he can find such a teacher and abide by his teaching and attain to its verity. Is such a thing possible in the present?Where does one go looking for such a Preceptor?Where is He to be found?How am I to find the Resources to go over and meet him travelling across half the globe?What if I do not have such a resource?Do I have to give up my tradition and way of life to imbibe the teaching of The Guru?What is my relationship with such a one?Do I have to estrange my Relatives and Friends in the process?Do I have to give up my Profession?Do I have to isolate myself?How am I related to this world?....Questions ,more and more Questions! This is the backdrop to which the First verse of the appalam song gives a definitive answer and sets at rest all doubts that one may possibly have. In the very opening lines of this song Sri Bhagavan sets the tone and import of it very clearly.What is the 'That' he is referring to,eating which one may end desire? mathura in northern India and was living in mathura, performing service to the Lord of the temple there. He came to know of this boy of 16 years called mARan in AzhvAr thirunagari that did not eat or speak, through some devotees who came to mathura from tamil nAdu. then, madhura kavi AzhvAr wanted to find out if this boy can speak and asked the following question- "seththatin vayiRRil siriyadhu piRandhaal,eththaith thinRu engE kidakkum" - if a small thing is born to a dead thing, what will it eat for sustenance and where will it exist? MARan answered "aththaith thinRu angE kidakkum" - it will eat That and just Be there! 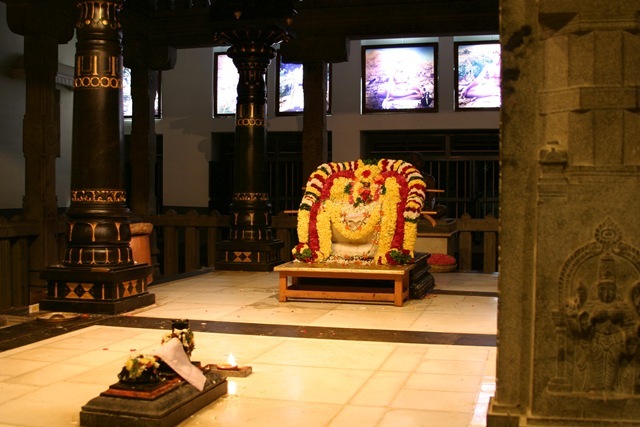 Madhurakavi AzhvAr, on hearing the answer to his question, realised that mARan was not an ordinary boy and that he was a divine avatAra and prostrated in front of mARan and paid his respects to him. The explanation of the question and answer is as follows - the question was - if a small thing is born to a dead thing, what will it eat and where will it exist - here the small thing refers to the soul, the dead thing refers to the body - i.e. if the soul, that is the small knowledgeable thing, enters the body that is lifeless without the soul, what will it eat and where will it live? The answer is - it will eat That and Just Be there. 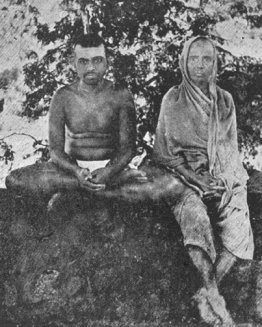 Madhura kavi AzhvAr took nammAzhvAr as his AchArya and spent his days performing service to nammAzhvAr. coming to the opening lines in the refrain of appaLam song-Sri Bhagavan is referring to 'That' -eating which leads to true fulfillment.The Last line of the final verse of this song refers to 'That' as the 'Tanmaya' appaLam-The Self. seththain vayiRRil siRiyathu piRanthAl ethai thinRu enge kidakkum. Sri Bhagavan also said- The body itself is a disease. The body itself is dead. The Light within gives it life.